We design and install our landscape and architectural lighting systems to withstand almost everything mother nature can throw at them – from six foot deep snow drifts in the winter time, driving rain in the spring and summer time, and to salty environments in the coastal locations. But sometimes Mother Nature lets you know that she’s really a force to be reckoned with. On Monday of this week, the Denver metro area endured sustained winds of 45 mph with gusts to 70 mph- a few mph under hurricane force winds. I had been out in this wind with one of my crews and several times we almost got swept off our feet. Sure enough the phone rang several times the next day with calls from customers saying that some of their fixtures had been damaged by wind-blown debris. The most major damage, however, was reported by one of our customers in the Hilltop neighborhood. One of his neighbor’s trees was blown over by the wind and severed the overhead XCEL power line causing the 80-foot tree to instantly become a fireball. 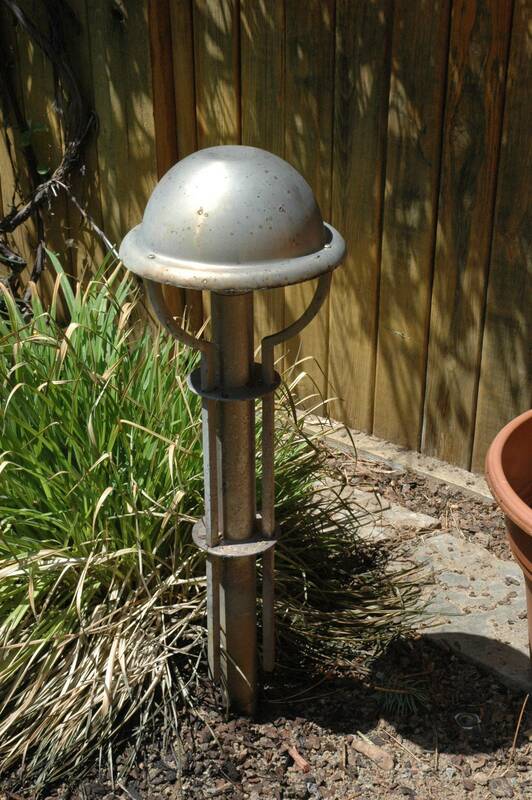 One of the Kichler modernistic brushed nickel path lights can be seen in the photo below after the fire. Thankfully, neither the homeowner’s family nor any of his neighbors were injured by the falling tree that was on fire or by the high voltage line that had just been severed. 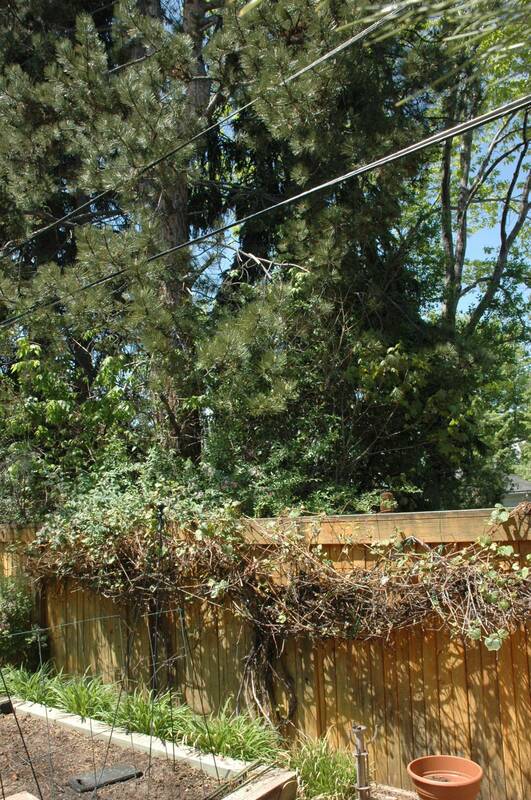 In fact, if you ever see a cut loose overhead wire on the ground or dangling from the air – NEVER, EVER approach it. Call 911 immediately so that the utilties can be called to cut the power as soon as possible. It may literally mean the difference between life and death to another unsuspecting passerby. The other thing that happened was that the high voltage overhead power line sent a surge through the low voltage lighting system that in turn blew out the low voltage transformer and the GFI wall outlet. The good news is that our stainless steel transformers are designed and manufactured to code to be able to contain a catastrophic event such as this one. And the GFI outlet tripped and then failed preventing the outside surge from entering the rest of the house’s wiring system. We just started our 12th year of installing lighting systems in Colorado, and this is the first time that we ever had an overhead line voltage power line get severed and then cause all of this other damage. After checking with our factory in Nashville, the folks there who have been doing this for over 20 years have never experienced a scenario such as this one. They have experienced damage to lighting systems due to lightning strikes but not from overhead power lines being severed. Our Nashville office is currently dealing with the aftermath of the major flooding with respect to the repair and re-installation of entire lighting systems. And of course our New Orleans office is still dealing with the devastating effects from Hurricane Katrina. All we can do is to make our lighting systems as foolproof and as safe as possible, but sometimes Mother Nature reminds us who is really the boss. 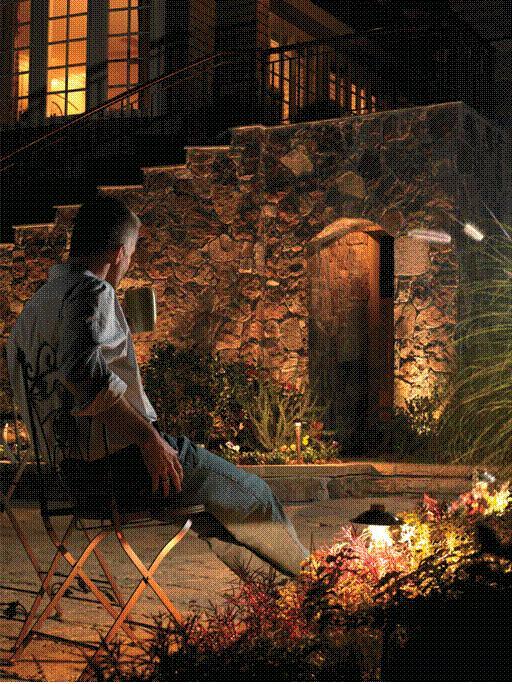 What Does it Cost to Operate a Landscape Lighting System? Over the years a lot of homeowners have asked us how much their monthly electricity bill would increase after their landscape lighting system was installed. The short answer and the good news is not very much! 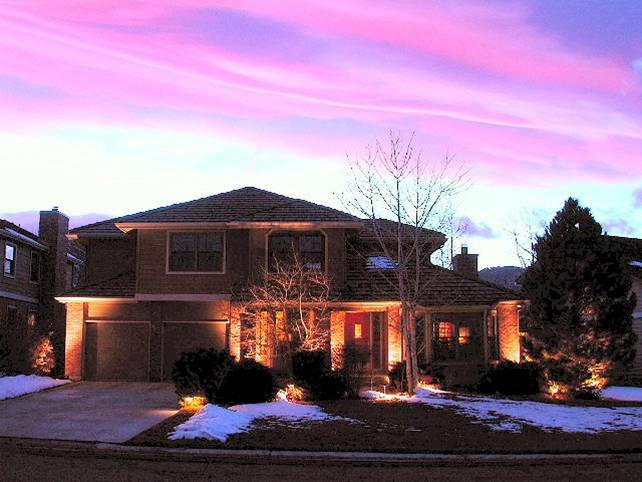 Most recently some townhome owners in Denver needed to share a low voltage quartz halogen landscape lighting system to illuminate their front entrances. The as-built configuration of the townhomes dictated that only one of the townhomes would have the low voltage transformer installed – and subsequently would have to provide all of the power for the entire lighting system. The respective homeowners agreed to split the annual electricity bill/usage for the system and asked me to compute how much that would be. For this system, there were a total of two uplights (well lights at 35W each) and four path lights for the walkways (at 20W each) – for a total energy usage of 150W. 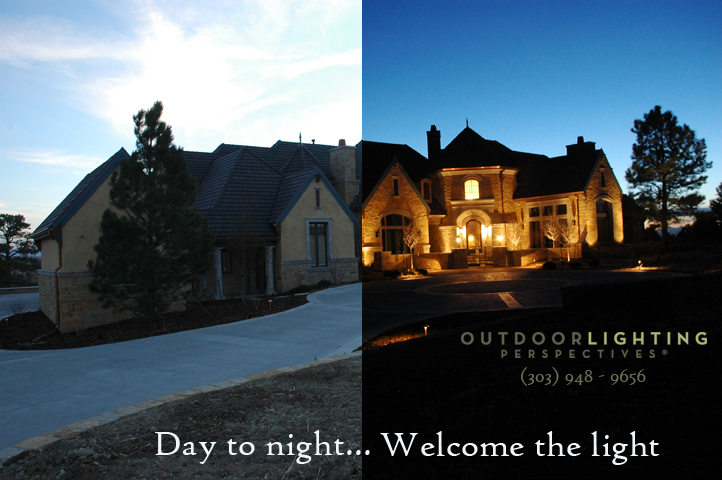 For safety and security, the homeowners wanted the lights to be on from dusk to dawn throughout the year. By accessing the U.S. Naval Observatory website and doing some computations, I was able to determine that there are a total of 4,306.29 hours of darkness for the entire year in Denver, Colorado. By multiplying 150W times 4,306.29 hours you get 645,943.5 watt-hours or 645.9 kWH. 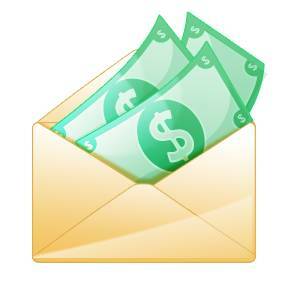 The average cost per kilowatt-hour in Denver is projected to be 11.3 cents through the year. By multiplying $.113/kW-H times 645.9kWH, you end up with a total operating cost of $72.99 per year, or $6.08 per month or $.20 per night. Most police departments will tell you that this is a small price to pay to enhance your home’s safety and security every night of the year. The house on the left (also using a low voltage quartz halogen lighting system) has a total of 8 uplights (35W each) and 3 path lights (20W) each – for a total of 340W. Dusk to dawn operation costs $165.44 per year or $13.78 per month or $.45 per night. If this same low voltage quartz halogen system is replaced by a low voltage LED lighting system in the future, the total power requirement would only be 80.7W and would result in annual energy costs of $39.26 per year or $3.27 per month or $.11 per night – a 76-percent energy savings over the quartz halogen system. So in other words LEDs are the future but even with a low voltage quartz halogen lighting system, you’re still saving money with operating your outdoor lighting in comparison to line voltage lighting.